The Pacific My-T-Lift is the perfect solution for the safe handling of heavy loads, up to 300kg. This 360° telescopic job crane is designed for single handed operation and can be mounted on trucks, trailers, pontoons and similar structures. It has the option of a manual winch which includes a 6 meters rope or a 12 or 24 volt electric winch, featuring a rope length of 12 meters. 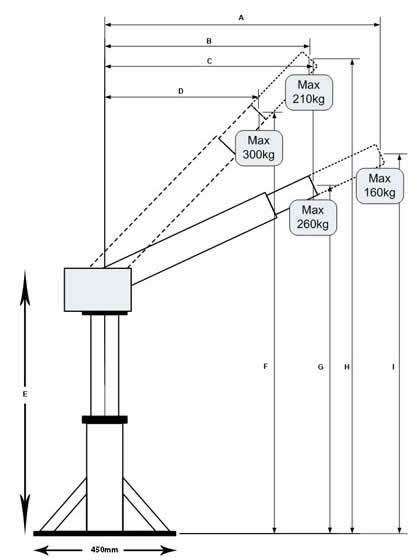 Due to its design, the My-T-Lift has the capability to allow accurate placement of heavy loads, even in confined space. This product is made from high quality durable steel and has the option to fold down when not in use. Allows accurate placement of heavy loads, even in confined space. 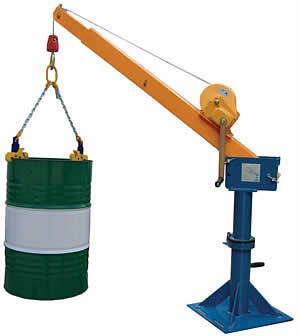 Optional drum lifting sling available.